This page is dedicated for those starting the journey of a healthy life with healthy bread. Sourdough bread is healthier than factory bread because it uses the methods naturally evolved over thousands of years to create healthy and tasty bread. You can read more about the health benefits of sourdough bread, but here we’ll concentrate on making the stuff. I’m not interested in all this waffle, just take me to the abridged instructions! My personal journey started when I was introduced to sourdough bread that my brother (Boris) made when teaching his tertiary education courses on bread manufacture. A professional baker by trade, he now teaches young and upcoming bakers in the industry, as well as enthusiast home bakers. Boris has been researching and studying the sourdough bread making processes for many years and is now passing that knowledge and experience on to others. Once I’d tasted Boris’ bread I was hooked and became dependent on his steady supply. Remember the proverb: Give a man a fish and you feed him for a day; teach a man to fish and you feed him for a lifetime. Well I was one of those in desperate need of learning to “fish”. I have to put the “fish” in quotes to be real clear, since Boris is also an avid fly fisherman and he’s trying to get me on the hook with that too. 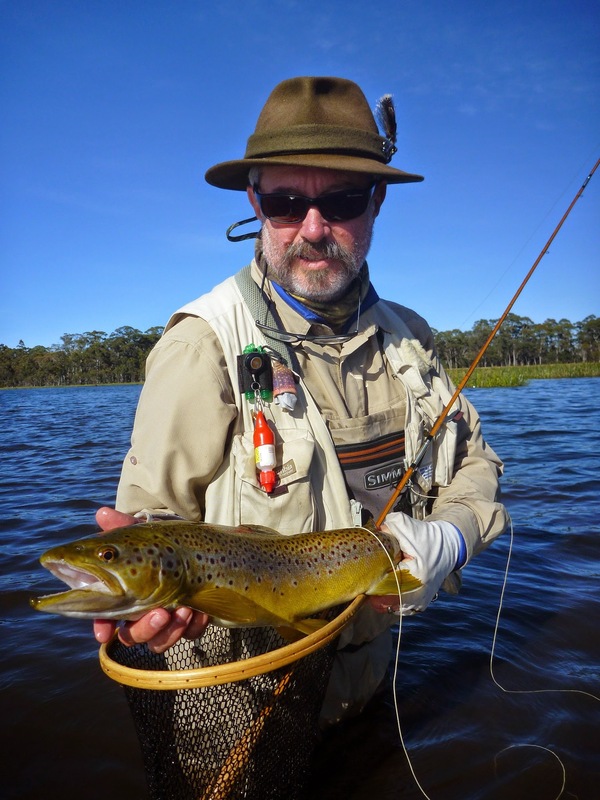 Boris with a beautiful trout caught in the Tasmanian highlands Penstock Lake. That’s the simple start to my journey, and everyone has their own reasons for starting theirs. I’m going to dedicate the rest of this post with a simple guide for the novice making their first loaf of sourdough bread. There will be links throughout the text to other pages that give more detailed instructions, but here we’ll cover the entire process from nothing to bread. You’ll need a starter culture with which to inoculate your future bread. Select a recipe. In this example we’ll choose the simplest Rustic White. 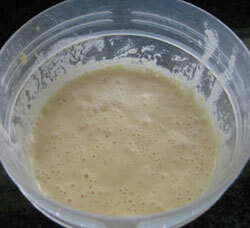 Most recipes will have at least one sourdough stage, which both increases your starter and cycles it. You make a your final dough that will be molded into your desired shape and left to proof. Finally you need to bake the fully proofed dough. The first thing that you need to do is make a starter. A starter is basically a fully mature sourdough dough that is used to inoculate your new batches of dough in the future. I like to think of it as a pet, it needs looking after, feeding and exercise. Mine’s called Steve and I’ve had him since I started baking (back in 2010). An alternative to making your own starter is to get some from one of your friends or someone you know who already does sourdough bread making. It’s not as fun, interesting or satisfying, but obviously quicker. I wouldn’t recommend it, but the choice is yours. Even if you get some ready made starter, you’ll still need to learn how to care and feed it. 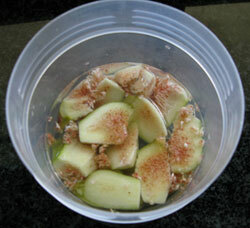 Making a starter is like growing your new pet in vitro. You can start off with just water and an initial inoculation from fruit (most of which have the requisite micro flora on the surface of their skins). Alternatively you can just use water and flour, the micro flora on the wheat becomes the only source of the micro flora that you inoculate with. It’s important to note that you must- not use your starter until it is fully evolved into a bread starter. It will go through various stages, some may look like it is ready to use, but it really takes at least 5+ cycles to really be ready (I personally took mine to 10+, as the bread I made after 5 was like stone, the starter was still just a baby and needed to learn to walk before it could be made to run). I like using the fruit method because I can imagine that it is imbuing the sourdough with a unique taste of the fruit. My rational side realizes that this is highly unlikely, but the human mind is very suggestible, so I’m happy with the placebo effect that this has, and it often makes it sound more romantic – my starter was cultured from the figs I grew in my front yard – and that fig tree was from a cutting that my Dad gave me from is 40+ year old fig tree from his front yard (I can’t remember where he got his from). Sounds more impressive than just made it from flour. Looking after: This means when you are not making bread then it should be stored at the bottom of your fridge (that’s the coldest part). If you keep it in the fridge then you can leave it there for up to six weeks and it can still be revived and used for bread. 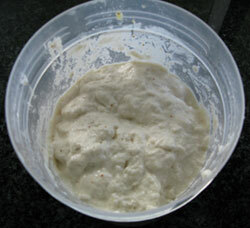 If you make bread every 1 to 4 weeks then the best method of caring for the starter is to use it to make your sourdough. Before you add the sourdough to the bread dough remove the amount of the original starter and you have effectively cycled your starter. If you will not be using it for more than six weeks then some people freeze theirs. This is not a good practice as many of the yeast cell cannot be frozen without their cell walls being punctured by ice crystals during freezing. You could snap freeze it, but a home freezer would be too slow. If you really want to store it for a long period then the best is to first spread it out on a sheet of baking paper and dry it out in a warm oven. When complete dry, scrape it off the paper and seal in a plastic bag with no air. You can then freeze this in your home freezer. When reviving it, first mix the powder with water to make a slurry, then cycle it like a normal starter (at least once before use). Others keep theirs on the kitchen counter. This is also fine, however it would require very regular feeding/cycling as the warm temperatures mean the organisms are quickly using up their food supplies. 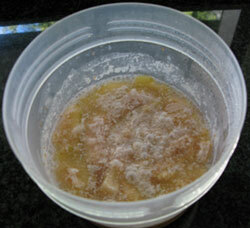 If the food runs out in the starter then other organism – the bad ones will start to take over and spoil your starter. So this option is more for those that make bread every day. Feeding – your pet starter is an amorphous collection of just the right micro-organisms needed to ferment flour (it’s actually a combination of various species of lactobacillus bacteria in symbiosis with wild yeasts – excluding the specific strain that bakers yeast is made from, this yeast species inhibits the lactobacillus bacteria, which is not desirable and generally does not evolve in your starter). The proportions of those different organisms will vary depending on the environment – more whole wheat flour will have a different ecosystem to more rye flour or bakers white flour. So it is best to feed it with the same flours you normally use for your bread. You can even keep multiple starters for different breads, like a rye starter and a wheat starter. Initially, after making your starter, you should cycle it at least 5 times to get the best results on your first loaf (personally I’d go for 10). Every time you feed/cycle your starter you are effectively evolving it to the environment of your flour and water. So you can’t cycle it too often. However, always make sure that you don’t cut the cycle time too short. If your fermentation time is consistently too short you will be effectively diluting your starter. Once you have your starter, the best way to feed it is to make bread with it. That way you don’t waste any of the flour. Exercise – for a pet starter, exercise means making bread. The more bread you make the more cycling of your starter you are doing and the healthier your starter will be. And like taking your dog for a walk, exercising your pet starter is also good for you – yummy healthy bread for all the family. 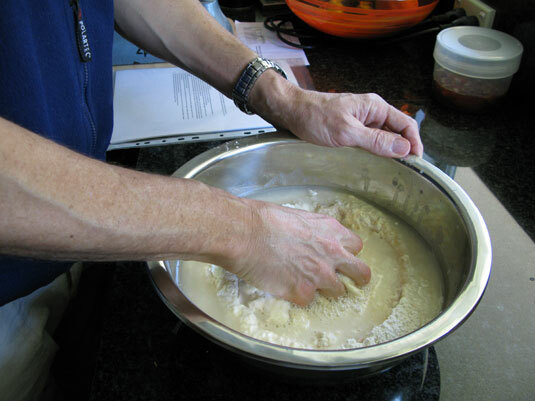 You will experience the fundamentals of sourdough bread making with minimal complications. If something isn’t right then there are fewer variables to consider and adjust, thus simplifying your learning process. Once you master the fundamentals you can then experiment to your hearts content. Success is the greatest way to encourage enthusiasm and with enthusiasm is the best way to learn. A simple bread, made by your own hands tastes 20 times better than the same bread bought from the shops. 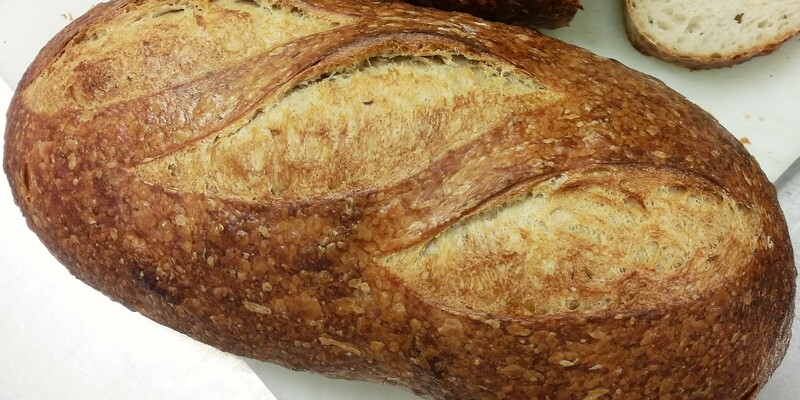 So tackling a simple rustic white bread is your best option. The simple rustic white bread recipe shows the basic steps you need to perform to make this bread, but we’ll look at this from a different perspective in the following sections to help clarify. If you have Bread Boss then this same recipe is in the app. Increase the amount of starter to match the requirements of the final dough. If you need to make a 2kg dough then you probably don’t have enough starter to inoculate it, so you need to increase your starter. The starter increase produces a sourdough large enough to inoculate your bread dough with the right amount of micro organisms to nicely ferment it within a reasonable amount of time. The other goal is to cycle your starter. When you make your sourdough you generally use most of your starter to “start” the fermentation process. If you use Bread Boss for your recipes then the amount of your originally included starter is removed from the sourdough and saved in the fridge for your next bread. Bread Boss automatically calculates the sourdough such that there is enough to take your original starter amount out, before adding it to the final dough. When you try out recipes make sure you remember to not use all your starter up. If necessary increase your starter before doing the recipe (of course if you put the recipe into Bread Boss then you’ll never have problems with calculating starter amounts). Final dough stage: this is the dough that will be proved and baked. It uses the sourdough stage to inoculate a larger amount of flour so that you end up with the required amount of dough for the amount of bread you are making. Other recipes can have other stages, which you’ll see in all sorts of other recipes across the internet. The important thing to learn is that sourdough bread is made in stages. As you can see from the image, the sourdough is scheduled to be made at 6:30 pm Friday. That means that the sourdough has the full 15 hours needed for its fermentation; and importantly you get to sleep in (at least 8:30 am is a sleep in for me). The “Prepare for final dough” is just a reminder to get the kitchen ready for mixing and making the final dough. Everyone’s life style is different and so this can vary. I usually need that time to clear away the breakfast dishes and clean down the bench top, feed the cat and dog (you don’t want them tangling up in your feet while kneading) etc. The “Mix final dough” reminder really signifies when the sourdough has finished is 15 hours of fermentation and should be mixed with the other ingredients to make the final dough. Fermentation is an organic process and depends on many factors. In our bread making process we can only control the amount of food for the micro-organism (that is how much flour it contains), water content (the more water the more active the organisms can be), temperature of the medium (the warmer the dough the faster they can metabolise the flour) and the duration of the ferment (the more time the more they can do). The recipe dictates all the easily controllable factors: flour, water and time. Temperature for a home baker is the most uncontrollable variable. So with experience you’ll learn to adjust the fermentation time based on the conditions in your home and the season. For now we’ll just stick to the schedule and assume your home is generally at 20-24°C (68-75°F), so the dough will proceed nicely. Once your final dough is made you’ll need to turn it over every hour during the Bulk Fermentation phase. Bulk fermentation is when the whole dough is fermenting, before you divide it up into individual loaves. That’s what the “Turn over dough” reminder is for. Some breads have a longer bulk fermentation and you would need to do this more often than for our rustic white. The “Round loaf” or “Scale and round loaves” reminders come after bulk fermentation has completed, you scale/weigh your dough into individual loaves. Round the dough into balls and leave on the bench (covered with a tea towel to prevent the surface from forming a skin) for the Intermediate Proof. This is a short rest before you finally mould the dough into your bannetons or proving baskets. After the intermediate proof, you shape or final mould your dough and put it into the fridge, this is the purpose of the “Mould to basket then refrigerate” reminder. The dough stays there overnight for what is called the “Retardation” time. The dough is still fermenting, but at a reduced rate. The colder temperatures changes the way the micro-organisms undertake the fermentation process. The retardation is not mandatory, but serves as a way to realign your bread making with the reality of day to day life. Not many of us have the time to take a sourdough from flour to oven in a single stretch, even professional bakers go home to sleep. Your next reminder will be “Remove loaf from fridge”. Depending on how many loaves you are making and how many can be baked in your oven at the same time, you may stagger the removal from the fridge. My oven only handles one loaf at a time, and I often make three loaves. Thus, I’d remove my loaves from the fridge 45 minutes apart. That ensures that the later loaves are not over proved (over fermented) before finally getting into the oven. Finally you’ll need a reminder to preheat the oven and do any preparations for steam generation. Steam is an important part of baking and is only required for a very short period, just as the dough enters the oven. Bakeries have special steam delivery systems built into their ovens. Home bakers need to improvise: I use a stainless steel dog’s bowl with heavy stainless steel bushes for thermal mass. You could also use heavy chain links or other large metal junk (don’t use stones or anything that will explode when you suddenly add water to it). When your oven is ready you then bake your loaves. Ensure you leave some time for the oven to reheat between baking each loaf. You always want the oven at prime temperature when the dough enters the oven. Once you have a starter and figured out what and when, it’s time to actually start. For the rustic white you only have two stages, the sourdough and the bread dough. Follow the instructions for making a sourdough. You’ll leave the sourdough to stand for about 15 hours. Your sourdough is usually ready when the top of the dough starts to flatten out. During the early phase of its growth the sourdough (depending on the water content) will generally have a domed shape on the top. As fermentation begins to peak the dome will flatten. For your first bread, leaving it for the 15 hours will be simplest, you’ll begin to get a sense of how the dough behaves in your specific environment with experience. Best to keep the sourdough in a covered container or bowl and in a part of your house with a constant temperature. If it’s in a steel bowl then its more relevant keeping away from draughts as the temperature travels quickly through metals (less so through ceramic or plastic). Once the sourdough has completed its fermentation, we are ready to make the bread dough. For the rustic white the bread dough is almost identical to the sourdough only larger in volume. Now the important thing to remember is to ALWAYS remove your original starter from the sourdough. The sourdough stage is typically a way to increase your starter so that you can use it in the final dough, so you need to remove that original inoculation so that you have your starter for the next batch of bread. 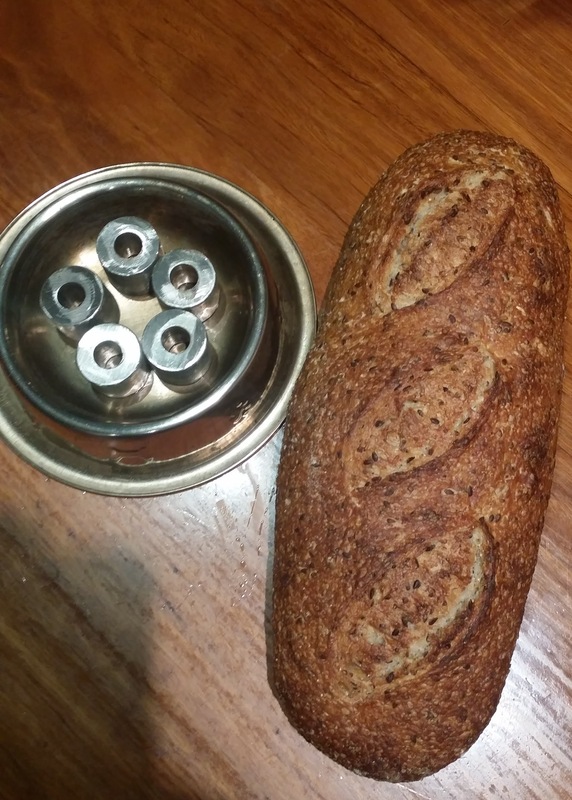 The best way to cycle/refresh your starter it by making bread with it. If you forget this step, DON’T PANIC! You can always retrieve your starter amount after the final dough has completed fermentation. It may be altered depending on what bread you’re making, but it is always retrievable. I was once making a grain bread and forgot all about Steve (my starter). I had to rescue him from the grainy final dough. It took awhile before he finally lost all those grains, but that was fine. 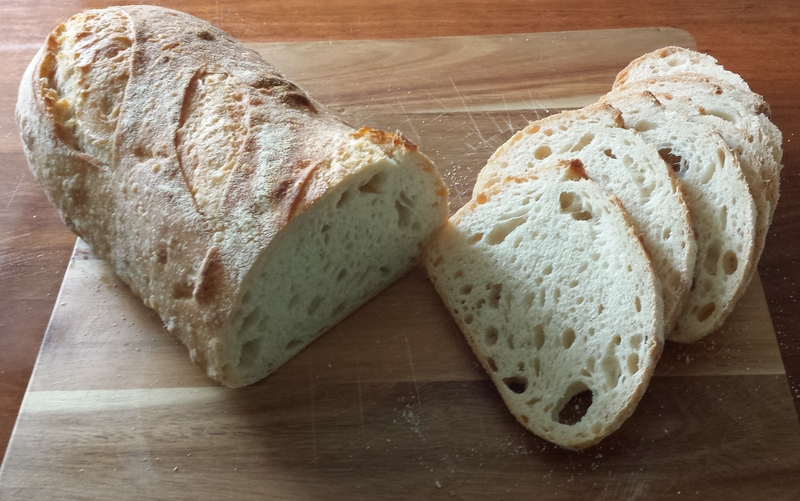 Each subsequent sourdough diluted the grains from him and he is now a happy, clean shaven starter. 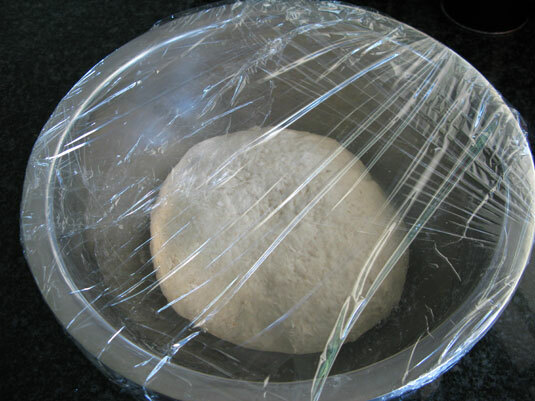 Follow the instructions for making a bread dough. The hardest part of this process is the kneading. Everyone eventually develops their own technique that works for their body. You can slam it down on the bench, folding it over, then turning and repeating. You can use your palm to push the dough across the bench, then pulling up and over. Or you can churn with two hands. Its all up to you to figure out what feels the best for your fitness and strength. Remember that you can’t hurt it and there is no right or wrong way to do it. It’s important to understand what the point of kneading is and then you’ll find it easier to establish your technique. 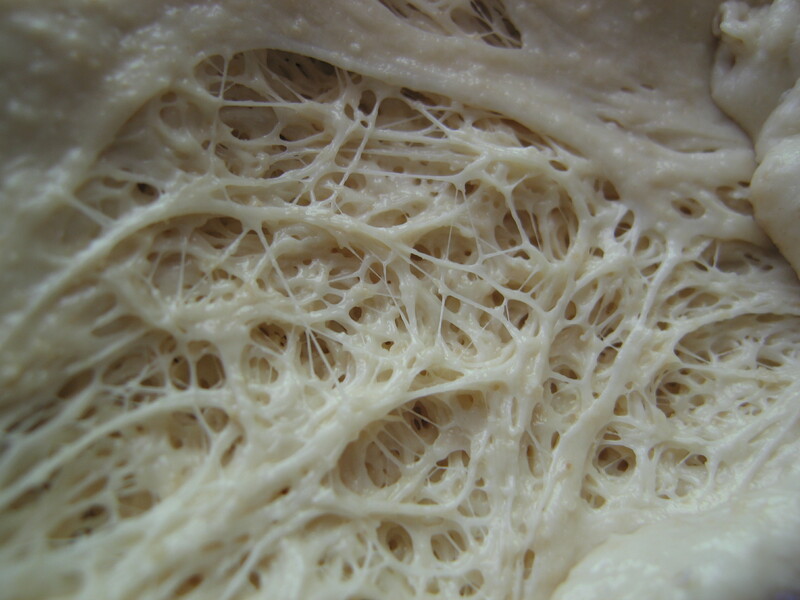 The gluten protein strands in the dough can be thought of as initially like a pile of knotted fishing line (to borrow Boris’ favorite metaphor). What you want to achieve is to get all those strands of gluten combed out and aligned so that when you stretch it out it will hold together and form a nice thin layer (like in the image). This thin layer is what traps the carbon dioxide (CO2) produced by the fermentation process. That CO2 is what becomes all the bubbles in the dough and ultimately the bread. The knotted strands of gluten won’t untangle easily and so we need to continuously stretch and draw out the strands. Another important point with kneading is remembering to rest. You should pause for a couple of minutes every 5 to 10 minutes to allow the protein strands to develop the cross linkages that holds the strands together in the shape that we need. Try the dough stretch test just after a pause to see how you are going. There are other possibilities for developing the dough but for your first bread it’s best to use the time honored method. Once your dough is fully developed (this is the term used by bakers to describe dough that has completed the kneading process and can show a “window” by stretching a part of the dough to as thin as possible without breaking), we are ready for “Bulk Fermentation”. Bulk fermentation lets the micro-organisms in the dough do their thing. Breaking down the many parts of the flour and producing CO2. This CO2 is trapped in the developed dough and causes it to rise and grow in volume. This rising also stretches the gluten and adds to its development and maturity. Bulk fermentation – the initial fermentation phase when the entire dough is in one piece. You need to stretch and fold the dough, usually every hour. Intermediate proof – next you’d scale the dough into individual units or loaves, round them into nice tight balls – adding tension – then leave them for the intermediate proof time. This is often a shorter time and for our rustic white only 30 minutes. 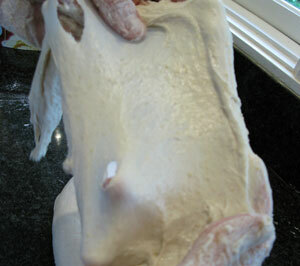 This allows the dough to relax so it can be easily shaped and tensioned. 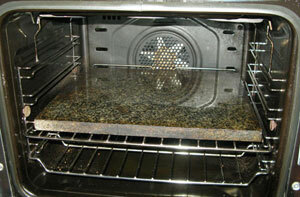 Retardation – this is where the dough’s fermentation is retarded by placing it in a cold environment – the refrigerator. This phase affects the taste of the bread even though it is still fermenting. The colder temperature changes the processes that the micro-organisms undertake due to the colder temperature. Mainly, retardation is a convenience process as it allows you the baker to get some sleep and break up the bread making process. Although it has an effect on flavour and crust character. 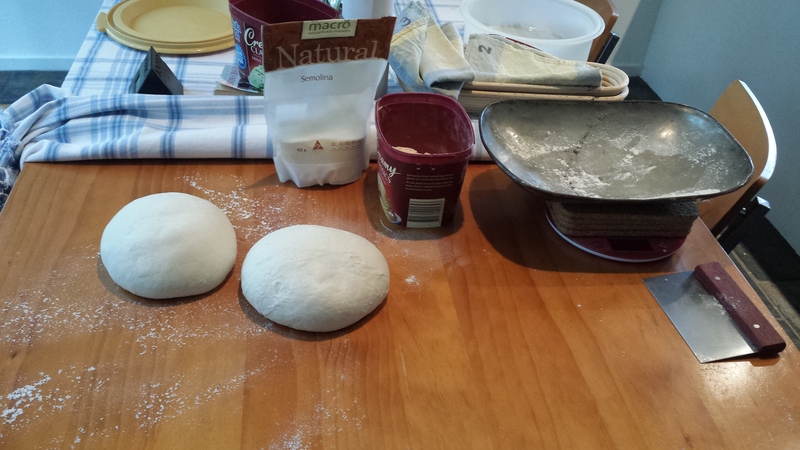 Final proof – after taking the dough out of the fridge, it is left to undergo the final proof. It will grow in the shaping baskets (called bannetons) or in tins, depending on your bread. This is an off cut from a kitchen bench, a perfect stone for your oven. The final thing left to do is to turn that dough into bread, and that’s what baking does. In a domestic oven you’ll be better served if you can put in either a pizza stone or some other stone slab to improve the oven’s thermal mass. If not then you may find the bread take a bit longer to bake and may not come out as crispy as you’d like. If you have a stone in your oven then make sure that you have a longer preheat period before baking your first loaf, as the stone absorbs heat to store for the baking. When preheating the oven, set it to the maximum setting, to ensure you get it nice and hot. But once hot, your oven will be vastly more efficient as you’ll not lose all the heat the moment you open the oven door. Remember to put in your steam engine before you start the oven. You need to get that steel nice and hot ready to generate steam. Simple peel design from 7mm plywood. Make sure it fits nicely through the oven opening. Once the oven is ready, turn out your dough onto a peel that has been dusted with flour. Then carefully slash the top of the loaf, longways at about 20° from the long edge. Then open your oven and put the peel onto the stone surface and slide it away with a quick jerk, leaving the dough in the oven on the stone. It might pay to practice this technique while the oven is cold so that you are familiar with the action and won’t have to discover it on your first dough. I suggest using an already baked loaf of bread or some other object of similar weight. Remember to give the peel a good dusting with flour: the flour acts like ball bearings, helping the dough to slide off the peel. Once your dough is in the oven, give it a couple of quick sprays with water, add the boiling water to your steam engine and quickly close the oven door. Reset the heat setting to the correct value for the bread you’re making. For the rustic white that will be 220°C or 428°F. Some domestic ovens don’t have even heating throughout the oven and it may be prudent to rotate the bread 180° after about 15 minutes into the bake. You will see if this is the case for your oven if one side appears more baked than the other. Every oven is different and every person’s situation is different, so you’ll need to know when the bread is baked. In my oven it takes 30 minutes for the rustic white. Yours may be different, so I suggest that you check after 25-30 minutes. The way to check is to quickly take the bread out of the oven (with oven mitts of course) and with one hand holding the loaf, tap on the bottom of the loaf with the tips of your fingers. You should get a hollow drum sound from it, not a soft dull sound, in which case put it back for more time. Remember what your duration is and add it to your recipe. Finally bake the bread using the recipe’s specific instructions. Oh, hang on… then you eat it!